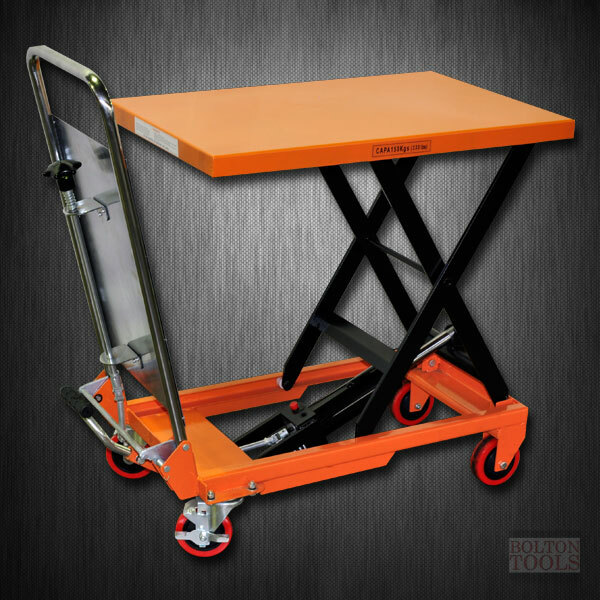 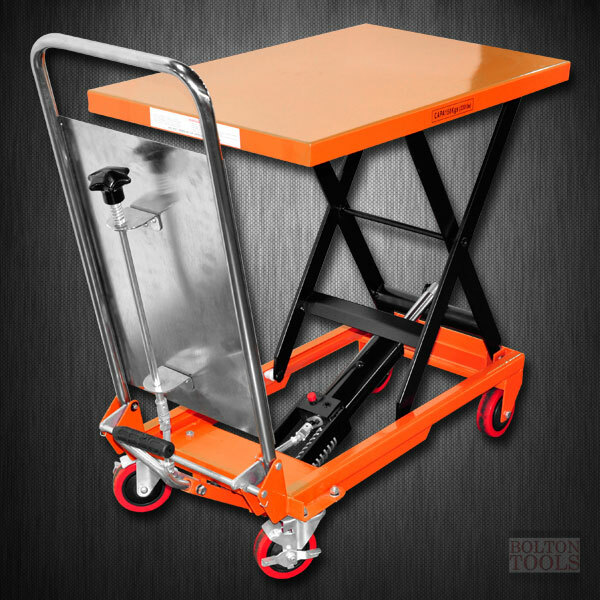 The Bolton Tools Hydraulic Hand Push Table Truck can lift your cargo up to 330 lbs. Ideal for quick stacking with easy maneuvers around narrow areas. 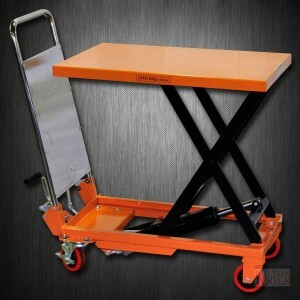 Packing Dimensions: US: 32.3" x 18.11" x 10.2"